Montfort Schlössle is a building with monument protection status and is connected to fixed structures in the room layout. Different layouts result for the rooms. They give each room its own unique flair. 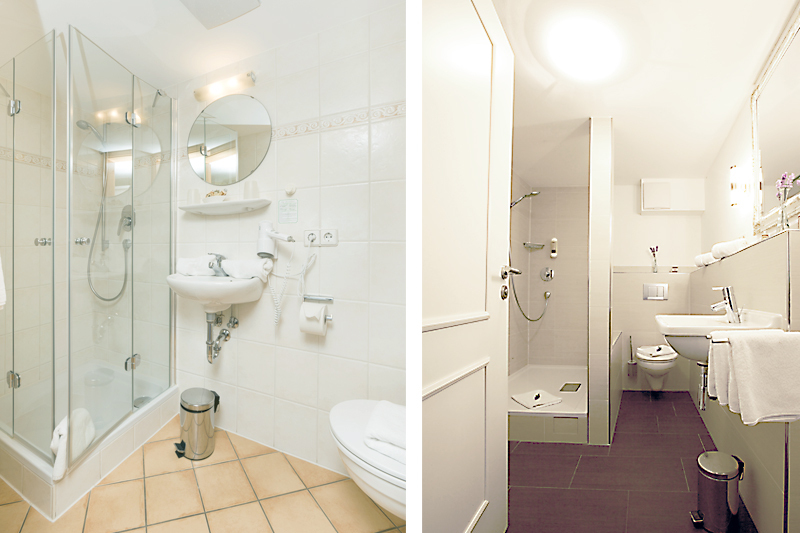 Our double rooms are located on the first and second floors. 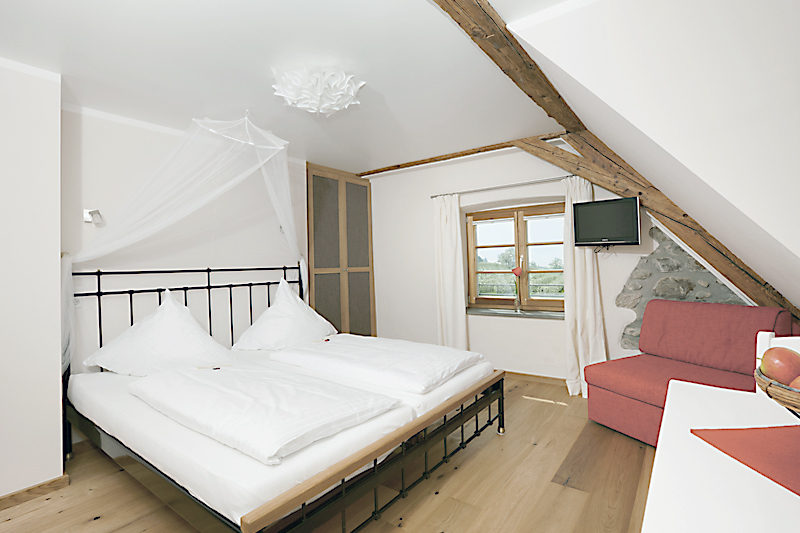 Almost all double rooms offer a panoramic view of Lake Constance and the Alps. The room sizes are between 16 m2 and 20 m2. The light rooms have modern furnishings and help to ensure your sense of well-being with natural wood floors, flat TV/radio and high-quality mattresses. Maximum occupancy with 2 people. 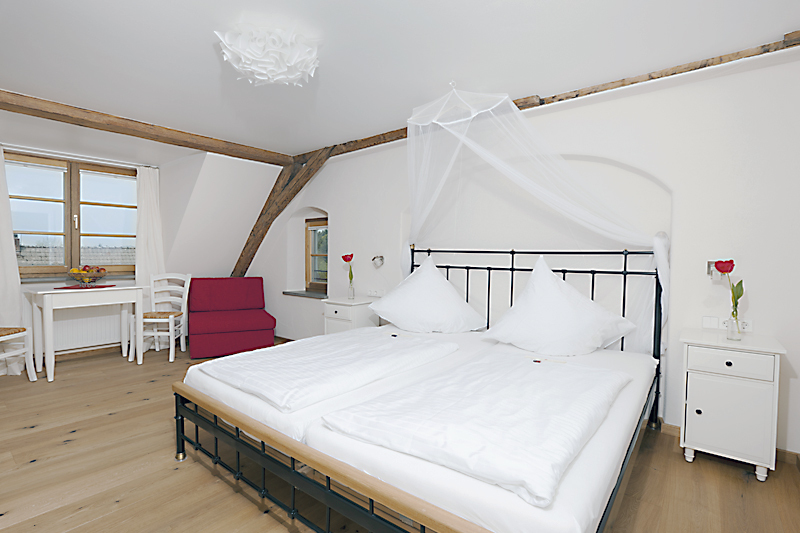 For certain double rooms, a configuration of 2 + 1 additional person is possible.